What is Kratom? What is Kratom Used For? Mitragyna speciosa (Kratom) is a tropical evergreen tree in the coffee family native to SE Asia. It is indigenous to Thailand, Indonesia, Malaysia, Myanmar, & Papua New Guinea, where it has been used in traditional medicines since at least the 19th century. Within the KVR pages, we will attempt to give visitors a valid, fair and honest way to evaluate vendors, veins and delivery methods so that they can make a more informed choice as to where they wish to purchase their Kanna, Kava, Kratom, CBD, Nootropics, Blue Lotus and other products from. It is important to note as well that this site is ONLY intended for reviews on these products as they are best utilized for usage as recommended by each Vendor’s specific product pages. It is not meant as a resource to slam competing vendors; suggest non-legal methodologies for Kratom; or as a way to hype experiences that are not what Kanna, Kava, Kratom, CBD, Blue Lotus and other products are not generally recognized for. As such, any review that does not meet these intentions will not be approved. Thank your visiting this site and for promoting these products for what it is truly intended for. Important Notice: None of the descriptions, information, claims or other verbiage given on this site have been evaluated by the Food and Drug Administration (FDA). 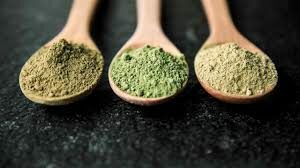 The Kanna, Kava, Kratom, CBD, Blue Lotus and other products’ strains/veins/colors discussed on this site are not meant to diagnose, heal, cure, relieve or prevent any illnesses. All information on this site are the views of their individual writers or vendors who have not declared to be medical experts giving pharmaceutical advice. This site’s sole mission is to provide individual reviews regarding experiences they have had with individual or multiple vendors. These are opinions only.